I'm looking forward to the DB10. I'm hoping it drives as well as the DB11. James Bond car pack? Would make sense with the British setting i guess. I’m kinda neutral on it. Fast and Furious, Hoonigan, Hot Wheels, Fallout Rocket, Halo Warthog or even Bond.... it all falls into the fantasy category in my book. I prefer “normal” cars. I tend to agree,Breyzipp but this one does interest me more than the others,having seen half the films,looking forward to the Lotus Esprit the most. I get all the rest, but Hoonigan isn't any more fantasy than any other company that uses any other real world base vehicle. 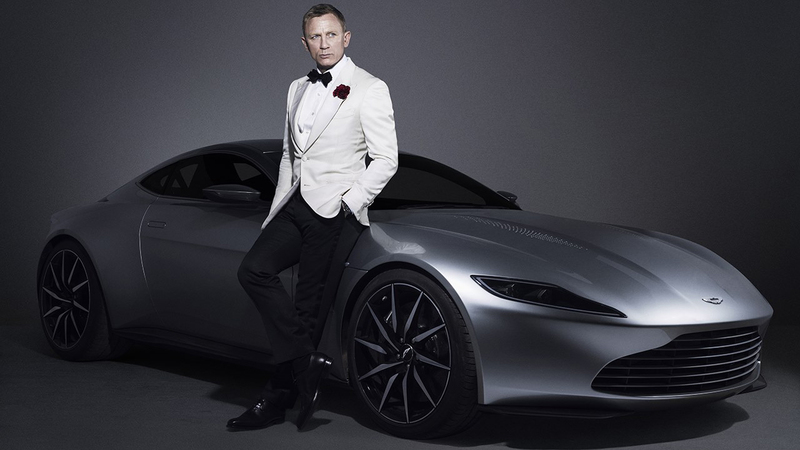 I wouldn't put Bond with the fantasy cars,apart from the gadget's Bond cars are real. raven214 and bf3 like this. The appearance that weapons are exposed like DB5 is a bit strange. It's a usable weapon in the world of James Bond, but Forza is not Twisted Metal and Mario Kart style racing games. However, I expect almost on this car pack. The 2CV that was leaked before is an unusual model with square headlights, and the DB10 and C-X 75 are cars I have been wanting for all the time. It is my frustration that Esprit is not a model equipped with a ski that appeared in "For Your Eyes Only," and that Jaguar XKR of "Die Another Day" is absent. I would say it’s a safe bet that any gadgets they include will only be functional in Forzavista. raven214, L8 Apex, ClydeYellow and 3 others like this. I would make a game of Infected a lot more interesting. raven214 and breyzipp like this. GranTurismo guy, ClydeYellow, Auditore and 1 other person like this. I want a Jaguar C-X75 too. These cars are also confirmed in the game file. To be entirely fair, tho, the Jag CX-75 existed before it was featured in 007, and the same goes for the Gen-I Esprit; as for the DB10, they don't have to invent any specs, seeing as AM built several rolling cars, and two were auctioned off. I get what you are saying, but while I can't think of a better word than "fantasy" for this class of vehicles, I still feel it's a bit inadequate, especially when you consider Forza has featured actual "fantasy" vehicles, such as the Warthog, the Quartz Regalia and the Rocket 69.
raven214 and WanganDream like this. I still feel it's a bit inadequate, especially when you consider Forza has featured actual "fantasy" vehicles, such as the Warthog, the Quartz Regalia and the Rocket 69. Ironically those are three of my favorite cars, and I'll always be disappointed we didn't get the Chryslus in a Horizon game. Yeah maybe I should have left Hoonigan out of that list. It’s indeed a tuned up car brand, not that different from the Formula Drift pack or Fast and Furious cars I guess. I guess all of those are alright. Also to the other replies, I know the Warthog and several Hot Wheels cars were built in real life but that does not make them any less fantasy for me. The regalia and Rocket are also purely fantasy for me and I’m sure someday, someone will build a real life replica.